I offer a two-manual instrument based on a study of the harpsichords from the Gräbner workshop in Dresden. 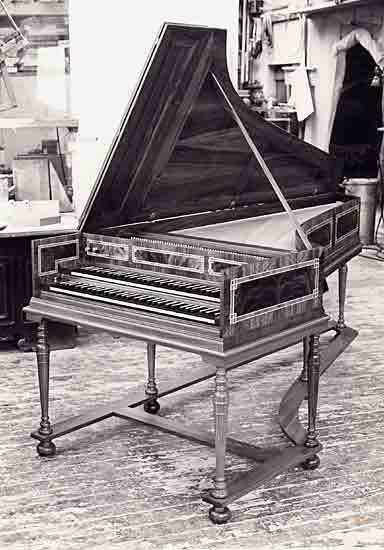 The request for this harpsichord was to produce a "polyphonic" instrument in which the voices were clearly distinct. It can be finished in different styles but the instrument you see here was decorated with intarsia work in walnut, maple strings and yew veneer (i.e. in a German style c.1740 and later). The lid is in solid walnut, with a walnut stand that can be dismantled for transport. Besides this two-manual harpsichord I also offer a single-manual version with either 2 × 8' or 2 × 8' + 1 × 4'. 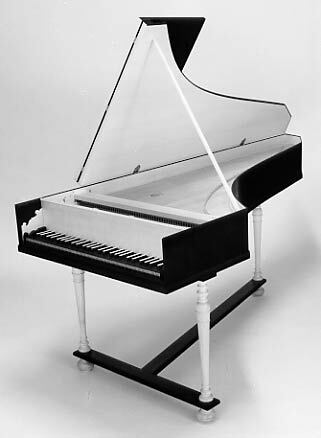 This instrument is after the 1738 Christian Vater harpsichord and implements decorative features found in other German harpsichords. It provides a wide range in a relatively compact case and it can even be transported in a VW Golf! 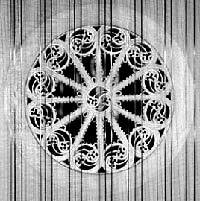 The stringing is brass wire, which confers a characteristic tone colour, subtler than the brilliance of iron wire. This instrument was made of maple stained black with solid maple legs.